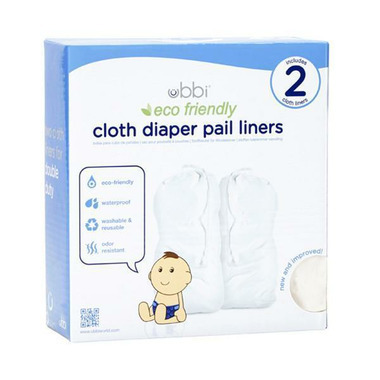 The Ubbi cloth liner is what eco-friendly parents need to store their cloth diapers. The TPU coated fabric material not only makes it resilient but also water and odor resistant to prevent leakage and dripping. 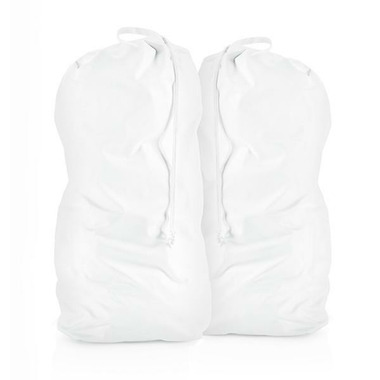 The Ubbi cloth liner has a 7-gallon capacity, which equals an average of 35 cloth diapers. It is equipped with a doorknob hanger and a practical drawstring closure for easy carrying. The Ubbi cloth liner is eco-friendly so while it appears to be white in color, it is as green as can be. Comes in a pack of 2. so one can be used while the other is being washed. These are COMPLETELY NOT waterproof which renders them COMPLETELY useless. There is pee/poo water at the bottom of my pail EVERY time I go to do laundry. They do not contain the water. Who designed these? Did they not test them before putting them on the market? COMPLETE waste of money. It's actually disgusting, when I take the bag to the laundry room it leaks all over the floor. I am really disappointed with this product. I have the Ubbi pail, and obviously expected the liners to work. Do not buy.